We Get Nissan Repairs Right the First Time! Our Nissan repair specialists can provide you the best quality service in the Tucson area. Import Service Center starts with a uniquely-designed maintenance plan for your vehicle. Preventive maintenance services are key to your vehicle’s extended road-life and quality performance. Stay ahead of any costly repairs by letting our team perform routine maintenance services. Our qualified technicians can identify any potential problem long before they turn into costly repairs. Being proactive is the secret to making sure your vehicle remains in a safe and fully operational condition. Nissans are known for their power and performance and we make sure you continue to enjoy enhanced driving experiences. We stand confidently behind all of our Nissan repairs. With a 2 Years / 24,000 Miles Warranty. 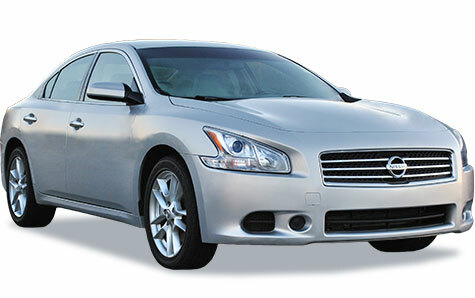 You can bring us any Nissan repair and trust that it’s being handled correctly. Our expert repair techs use the most advanced diagnostic equipment for accurate engine analysis. We use the best quality OE parts for all component repairs and replacements. You can be confident that your repairs are complete and durable, withstanding the test of time. Import Service Center in Tucson, AZ is the preferred Nissan service provider in this area. As an alternative to the dealers, our customers will experience service expertise at an affordable rate. The team at Import Service Center keeps you on a maintenance schedule that will enhance your Nissan’s performance. All you need to do is bring your Nissan to our specialists to ensure a stronger and longer performance. Give us a call today to schedule your next service appointment. For your convenience, we’ve made scheduling an appointment quicker and easier. Use our online scheduling system to schedule your appointment online right now. We look forward to providing your Nissan the best quality service in the area.